What better way to learn about wine than actually blending your own? That’s why I am heading to Bimbadgen first thing in the morning to learn all about wine making with winemaker Rauri Donkin. Located high on the hill in the heart of Hunter Valley wine country, Bimbadgen Estate has been producing fine wines for over 40 years. They are renowned for their classic bottle-aged Semillon and full-bodied intense Shiraz, two hero wines of the Hunter Valley region. Rauri’s job is to choose only the finest parcels of fruit identified within select Hunter Valley vineyards to craft a premium wine of regional style and intensity of flavour. As I’ve learned from Rauri, there’s no right or wrong when it comes to wine, it’s all down to personal taste and preference. I get to taste five of their single vineyard Shiraz and am absolutely amazed by how different they all are in terms of flavour, acidity and texture. We concoct two Shiraz blends that are totally different from each other – one is a pleasant fruity blend while the other is a full bodied classic Shiraz. It’s hard to choose a favourite as I’ll be happy to drink both of them. I take a bottle of Bimbadgen Signature 2013 Hunter Valley Shiraz with me as it will be the wine to match with the dish I have to cook this evening in my latest #GourmetHunter challenge. Next stop, Tinklers to grab some fresh produce. Tinklers is a family owned and operated vineyard, winery and farm gate. The Tinklers family have been in the Hunter Valley for more than 100 years. They produce premium wines and fresh produce using farming knowledge and skills passed down through the generations. Owner, winemaker and self-claimed “frustrated” farmer, Usher Tinkler is happy to show me around his vineyard and the orchard, where hopefully I’ll get to pick a few pieces of fresh produce to cook with. 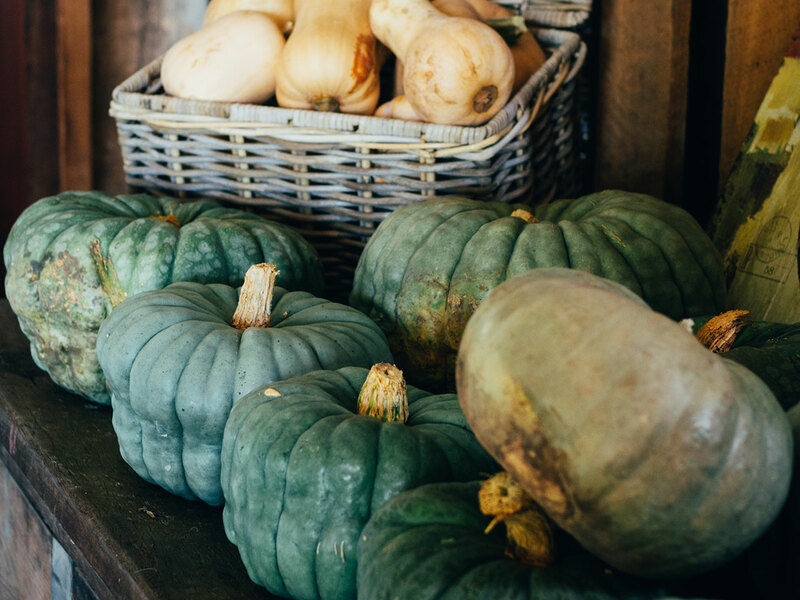 The Tinklers grow an abundance of seasonal produce including table grapes, peaches, nectarines, avocados, pumpkins, figs and mixed citrus. Usher tells me 50% of their visitors are here to pick up seasonal produce, even waiting outside the property early in the morning before the gate is open! 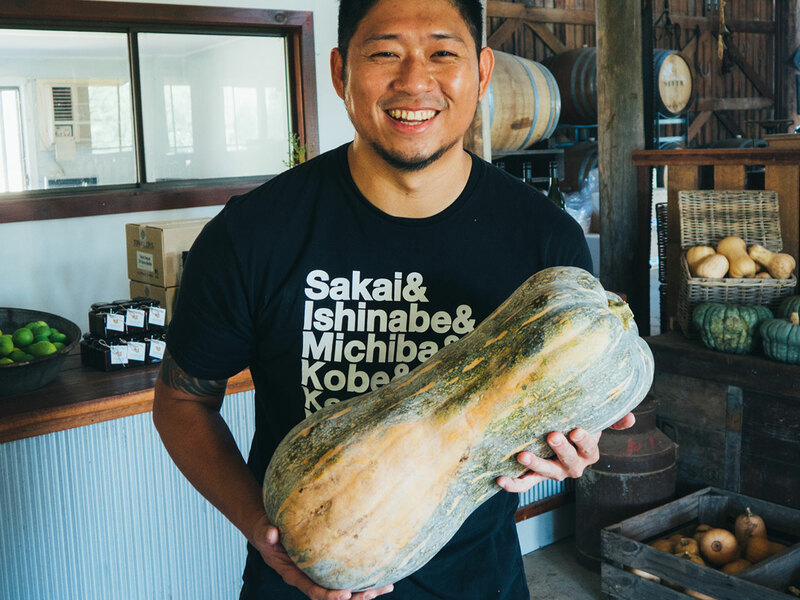 I have my fresh pumpkin and my wine, so it’s time to be on my way to the next stop where I’ll be cooking up a storm. Do you know the Hunter Valley is the oldest wine region in Australia? The Audrey Wilkinson Vineyard was first planted in 1866, making it the oldest vineyard site in Pokolbin. If you’re looking for a vineyard with the most spectacular view, then this is it. Perched atop a foothill of the Brokenback Mountain Ranges, it is a true must visit in the Hunter Valley. After wine tasting at the cellar door, visitors are welcomed to relax on the lawns, enjoying the serenity while tucking into a picnic lunch. There’s also a winemaking museum, housed in the original winery. It showcases the Wilkinson Family history and their heritage awarded original open cement vats, all free of charge. I simply can’t come here without having a swirl and sip of their award wining 2011 Winemakers Selection Semillon. And the delicious 2013 Winemakers Selection Shiraz. But when I explain to winemaker Jeff Byrne that I’m going to cook a pork dish, he immediately has a specific wine in mind. The 2014 Winemakers Selection Malbec is not a common variety here in the Hunter Valley. 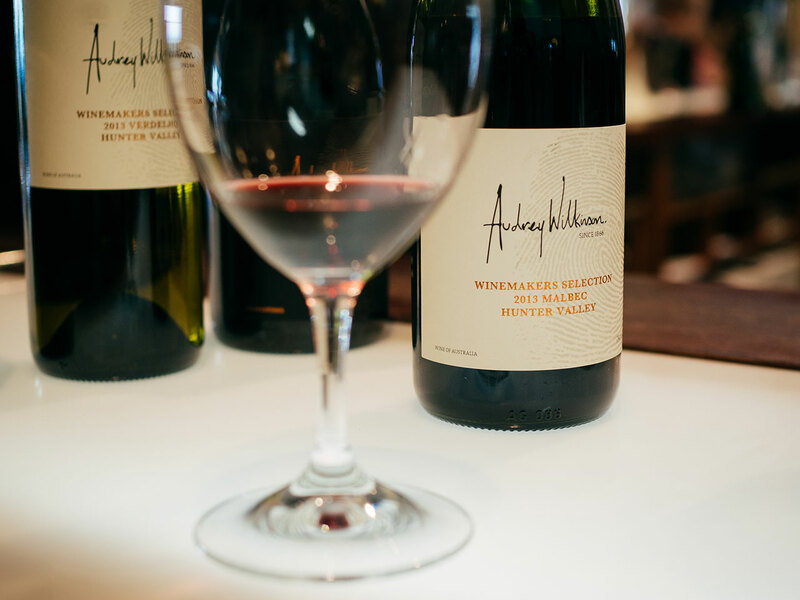 In fact, Audrey Wilkinson is the only vineyard that produces this fruity wine, which has an intense long flavour and textured palate. It’s definitely worth a try. Now I have two beautiful wines to match with the dish I’m going to cook. It’s going to be a tough decision. For the dish, I want to keep it simple and let the produce and wines speak for themselves. 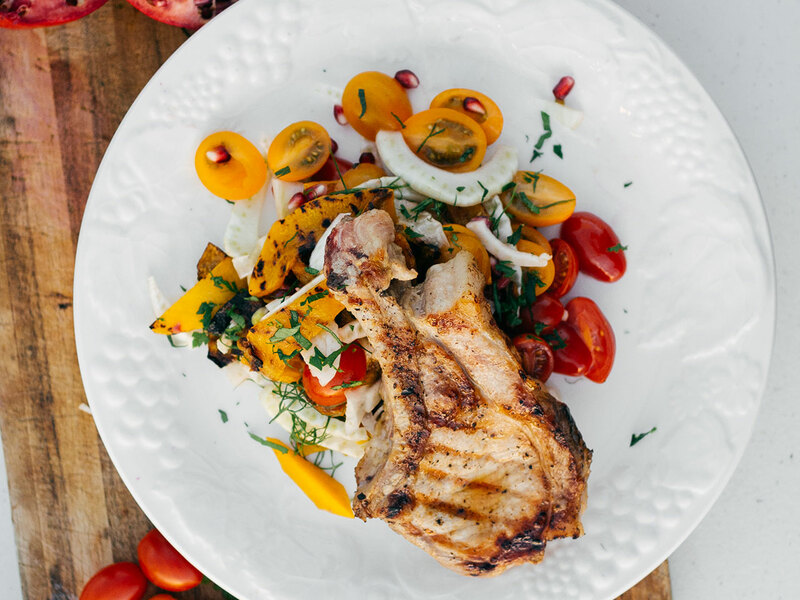 I will be using pork chop, quickly fried up on the grill pan then served with a refreshing salad of pumpkin, fennel and cherry tomatoes from Tinklers. To tell you the truth, both wines do pair with the dish rather nicely, but of course the Shiraz is what Hunter Valley is famous for. Expedia compensates authors for their writings appearing on this site, such compensation may include travel and other costs. Billy was the guest of Destination NSW.